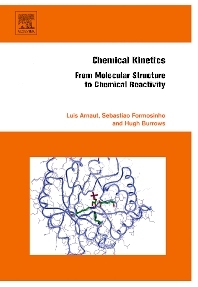 Chemical Kinetics bridges the gap between beginner and specialist with a path that leads the reader from the phenomenological approach to the rates of chemical reactions to the state-of-the-art calculation of the rate constants of the most prevalent reactions: atom transfers, catalysis, proton transfers, substitution reactions, energy transfers and electron transfers. For the beginner provides the basics: the simplest concepts, the fundamental experiments, and the underlying theories. For the specialist shows where sophisticated experimental and theoretical methods combine to offer a panorama of time-dependent molecular phenomena connected by a new rational. Chemical Kinetics goes far beyond the qualitative description: with the guidance of theory, the path becomes a reaction path that can actually be inspected and calculated. But Chemical Kinetics is more about structure and reactivity than numbers and calculations. A great emphasis in the clarity of the concepts is achieved by illustrating all the theories and mechanisms with recent examples, some of them described with sufficient detail and simplicity to be used in general chemistry and lab courses. Looking at atoms and molecules, and how molecular structures change with time. 1. Introduction Includes a historical perspective of chemical kinetics and basic physical-chemistry information (Boltzmann distribution law, harmonic oscillator, equilibrium constants, etc). 2. Reaction rate laws Definition. Factors that influence the rates (nature of the reactants, concentration of the reactants, temperature, light, catalysts, medium). 3. Experimental methods Conventional analytical techniques, including procedures for their application in examples of first and second order reactions, complex reactions, and enzyme catalysis. Fast reaction methods, including relaxation techniques, stopped flow, NMR, flash photolysis, single photon counting, time-resolved photoacoustic calorimetry, femtochemistry. Most of these techniques are illustrated with data collected in the authors’ labs. 4. Rate constants and reaction orders First, second and zero-order reactions, complex reaction mechanisms (parallel, consecutive and reversible reactions), methods to solve kinetic equations (Laplace transforms, matrix, Runge-Kutta, Markov chain, Monte Carlo), simplification of reaction mechanisms (isolation method, pre-equilibrium approximation, steady-state hypothesis). 5. Collisions and molecular dynamics Simple collisions theory, reaction cross-sections, classical trajectories, avoided crossings in potential energy surfaces, molecular dynamics. 6. Reactivity in thermalized systems Transition-state theory, including semi-classical treatments of zero-point energy and tunnelling. Intersecting-state model. 7. Structure-Reactivity Relationships Linear and quadratic free-energy relationships, Brönsted, Hammett and Taft relationships. Hammond postulate, reactivity-selectivity principle, Ritchie equation. 8.Unimolecular Reactions Lindemann, Hinshelwood and RRKM approaches. 9. Reaction in solution Solvent effects, diffusion control, reactivity control in solution (internal pressure, ionic strength, hydrostatic pressure). 10. Reactions in surfaces Adsorption, Adsorption isotherms with or without dissociation. Competitive adsorption. Multilayer adsorption. Bimolecular reactions in surfaces. Velocity of adsorption and desorption. Velocity of reaction of adsorbed species. 11. Nucleophilic substitution reactions SN1 and SN2 reactions. Langford-Gray classification. Methyl transfers in the gas phase and in solution. Shaik-Pross correlation diagrams. 12. Chain reactions Halogen – molecular hydrogen reactions. Pyrolysis. Combustion and explosions. 13. Acid-base catalysis and proton-transfer reactions Mechanisms (Arrhenius and van't Hoff intermediates). Specific and general acid-base catalysis. Catalytic activity and acid-base strength. Salt effects. Acidity functions. Proton transfer reactions (Eigen mechanism, carbon acids and bases, solvent effects, kinetic isotope effects). 14. Enzyme catalysis Michaelis-Menten mechanism, competition and inhibition, pH and temperature effects. Molecular models of enzyme catalysis. 15. Transitions between electronic states Golden-Rule of quantum mechanics. Franck-Condon factors. Radiationless transitions. Electronic coupling. 16. Electron transfers Self-exchange reactions. Marcus theory and ISM. Spin and distance dependence of nonadiabatic electron transfers. Inverted regions. Electron transfers in proteins. Electrochemistry. 17. Fractals, chaos and oscillatory reactions. Luis G Arnaut, PhD is Professor of Chemistry in the Chemistry Department at the University of Coimbra in Coimbra, Portugal. His research focus is on chemical kinetics, medicinal chemistry, and photochemistry. Dr. Arnaut has authored more than 200 journal articles and books throughout his career. Sebastiao Jose Formosinho, PhD is Professor of Chemistry in the Chemistry Department at the University of Coimbra, in Coimbra, Portugal. Dr. Formosinho’s research interests include chemical reactivity, photodynamic therapy, structure-reactivity relations for ground and excited states. He has authored more than 200 journal articles and books throughout a career in chemistry that spans more than 50 years.